Maria Marquez, gracefully poised between jazz and world music, has been credited for possessing gifts which echo those of Edith Piaf and Nina Simone. Maria was born in Caracas – Venezuela, the smallest of three daughters. Her parents a source of great inspiration in her work were Jose Enrique, a lawyer, reserved gentleman who loved to spend time reading books, and her mother aria Antonia, a vivaciously independent and beautiful woman, from whom Maria learned her love for music. She began her musical career as a teenager singing in a duet with singer-songwriter Vytas Brenner in the late 60’s and early ’70s in her native country Venezuela. Brenner would become in the later part of the ’70s the most important influence in the rock and pop world in Venezuela, fusing these musical idioms with Venezuelan folklore. Vytas became Maria’s primary influence when she saw with what ease he would mix folk music from Venezuela with electronic and modern elements, this made a strong impression in Maria; especially important was when both of them heard a field recording of women singing haunting melodies while mashing corn- Canto de Pilon. As part of a duo called “Vytas and Maria Fernanda” (Maria’s full name) she appeared on national television and participated in the Second “Festival de Onda Nueva” held in Caracas, lead by one of Venezuela’s greatest composers in popular music and the creator of the style -Onda Nueva- Aldemaro Romero. Maria is a graduate of Berklee College of Music where she studied composition, arranging and film scoring for 5 years. While in Boston she performed with pianist Tomas San Miguel (Spain), cellist Jaques Morelembaum (Brazil), singer Mili Bermejo (Mexico) and percussionist Cyro Baptista (Brazil) among others. In 1982 she received her diploma in Professional Music from Berklee and headed to San Francisco. Soon after arriving in the Bay Area, Maria started performing with guitarist Joyce Cooling. This inspiring collaboration would also broaden her horizon into the world of Jazz and Brazilian Music; it was also at this time that she started her long friendship and collaboration with percussionist John Santos, a friendship that would bring many great moments on stage as well as in recordings. Also in 1985 Maria formed another alliance that would show to be very productive with electronic music wizard, multi-instrumentalist and producer Frank Harris. With Frank, she recorded two folk songs from Venezuela, “Canto de Pilon” (traditional) and “Campesina” by Juan Vicente Torrealba. Together they co-arranged and co-produced these two memorable songs that would become part of the whirlpool of a new movement in the early 80’s called “World Music”. This recording generated a lot of attention and the songs were included in several world music compilations: “Potatoes” (San Francisco – Ralph Records); “All Ears” (Los Angeles – ROM Records); and “Border Crossings” (Israel – Hed Arzi Records). The songs “Canto de Pilon” and “Campesina” were very well received by the public and the press in her native Venezuela. In 1986 Maria and Frank collaborated and produced the soundtrack for the movie “Three x Three” by Venezuelan cinematographer Calogero Salvo. Other recordings by Frank and Maria include two children’s songs for “Fiesta Musical” (Warner Brothers). In 1991 one of the greatest bassists in the Jazz world, composer and producer Charlie Haden took the arrangement of “Canto de Pilon” by Maria and Frank and adapted it to his acclaimed “Liberation Orchestra” for an album that would win a Grammy that same year – “Dream Keeper”. During the period between 1992- 1995, Maria became involved in radio. She produced and hosted a weekly program for the “Emisora Cultural de Caracas”, the first radio show of world music in Caracas, where audiences were exposed to ethnic and pop music from around the world. She was the musical programmer for Jazz 95.5 FM (Caracas) where she also produced and hosted her own radio show of world music and jazz. The last year in Venezuela was a very productive one. Maria co-produced her first solo CD “De uno y otro lado” along with producers Federico Pacanins and Roberto Obeso. For this CD they hired the best Jazz musicians in Caracas, and expected only the most creative arrangements these musicians could come up with, and the result was an extremely different and eclectic combination of music. This CD was only released in Venezuela in 1995. — Alejandro Calzadilla- El Nacional- Caracas, Venezuela. In 1999 the producers Pacanins and Obeso offered Maria the opportunity of co-producing another CD “Eleven Love Stories/Once Cuentos de Amor”, the concept was to record a CD of all Venezuelan popular music from different decades and choosing very important material from the greatest of Venezuela’s composers. Maria self-produced the recording which included fine Bay Area musicians. The recording was released by Palm Pictures in February of 2001. This very intimate and personal recording, strangely enough, received great reviews from press and radio personalities in different parts of the world. — Errol Nazareth – World Beats – The Toronto Sun- Canada. Maria completed her second self-produced CD “Nature’s Princess/ Princesa de la Naturaleza” (Adventure Music) in the US in 2004, a CD which received wonderful reviews. “Siempre he creido que eres de esas artistas que se sirven del canto para un concepto, en este CD esta mas que evidenciado. Entiendo aquí una onda de belleza de tranquilidad. Esa onda es constante también en la presentación del CD, por demás impecable. — Federico Pacanins- Producer – Caracas, Venezuela. — John Santos- percussionist, producer, composer- Oakland, CA. Maria has continued in her interest to produce radio shows. She had world music and a jazz show at KRCB Public Radio for Santa Rosa, CA. for some years. She is now on her third year producing a radio show “Desde la Bahia” which is sent over the Internet to her native country Venezuela. 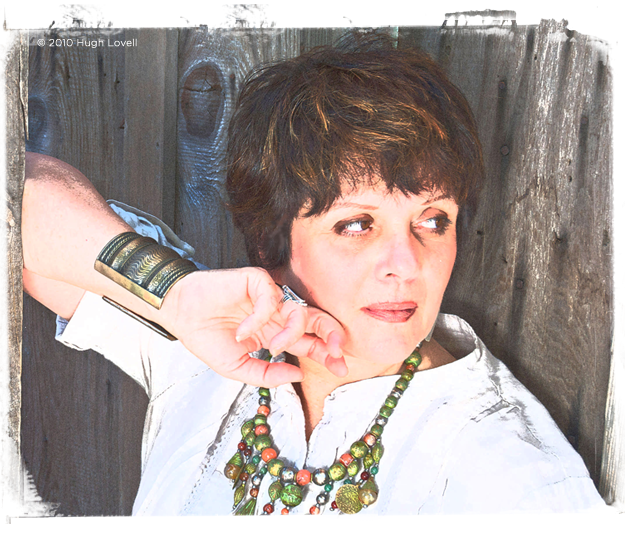 As an educator, Maria has been enjoying a steady gig at the renowned Jazz School in Berkeley for more than 5 years now. Her course “A Modern Approach to Latin Standards” is a successful course in which singers learn to appreciate and sing in Spanish and Portuguese music from the vast repertoire of Latin American classics. Maria is currently in the final production stages for her next project to be released early in 2011.